The latest technology, cloud have made it possible that you communicate with, and serve all your clients whether they are sitting next to you or they are on the other side of the globe. 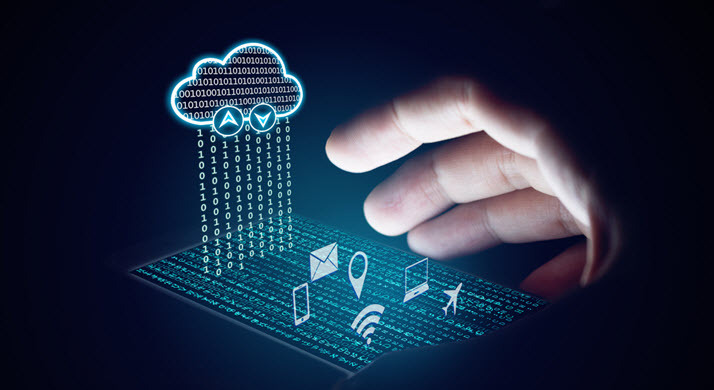 With new and emerging technologies like mobile cloud computing, and cloud collaboration, it has become possible that a business can stretch out its hands to find new clients or just cater its existing clients sitting on the other part of the globe. What a beautiful concept of keeping your infrastructure on cloud and focusing more towards adding business value through strategic decisions or towards resolving more complex business issues. Mobile is a necessity and not just a method of communication anymore. A research shows that 90% of C-level executives look at the updates on their mobiles before even brushing their teeth! The mobile applications allow us to do banking, shopping, and have gaming and entertainment on fingertips. One can reach anyone, anytime without worrying about who has the software or not, you just have the application and you work on it either in silos or in collaboration, all with real-time changes. Collaboration is still in the stage of evolution. Voice services, messaging, video and social media are all coming together to form Unified Communications and Unified Collaboration. While BYOD may provide with all the services that an employee might ask for to have seamless work environment. This is a new emerging way of storing and managing documents on cloud where others can share modify, and access at the same time. This combined platform brings together the wellness of cloud computing and new techniques of collaboration which is highly cost effective and easily manageable for globalized industries. Mobile collaboration is the use of mobile devices and collaborative apps to allow geographically dispersed people to work together on endeavors ranging from small personal projects to high-profile enterprise teamwork. Enterprise mobility is increasingly becoming something that both employers and employees take for granted. The ability to work from anywhere and at any time affords workers more flexibility in terms of both specific hours worked and the places they can be while they work. it’s increasingly crucial for mobile workers to have the ability to collaborate with other employees from wherever they happen to be at any given time. As a result, many vendors offer collaboration platforms and tools, and the capacity for mobile access and collaboration are often built into standard business applications. Technological advances have allowed today’s workplace to grow in a more connected, global, collaborative and flexible way. With this in mind, it’s easy to see why cloud collaboration is becoming increasingly popular amongst businesses in order to enhance their brand and improve interaction in the workplace. Companies have several options when it comes to cloud collaboration because it offers a variety of solutions depending on whether it’s the deployment of a private, public or hybrid cloud environment. Having all the trends in the market, one has to look at which is the best suited solution for his business. Consulting established market leaders for BI solutions will certainly provide you not only with the best solution but also some added business values through innovative ideas. RadicalRooting™ is an in-house development of Insight that helps you look intently at your business’s pain points and spend time resolving them, before moving into the solution conceptualization stage. 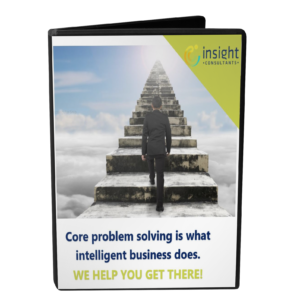 We have been the leaders in consulting and developing BI solutions for Mid-Sized businesses since 18 years with the latest in technology.